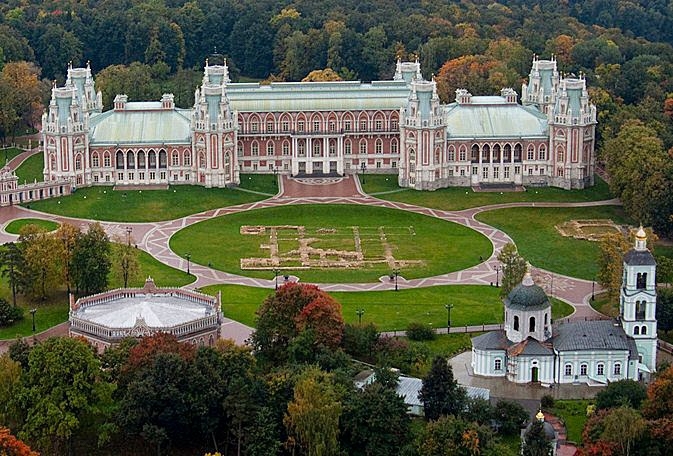 The Tzaritzyno estate is a picturesque place in the south of Moscow which caught the eye of Russian empress Catherine the Great in spring 1775. She was charmed with the beauty of its grounds and bought it from Duke Sergey Kantemir. It was quite pricey at that time 25 000 rubles, knowing that the average servant salary was just 30 rubles. At first it was named 'Chyornaya Gryaz' (Black Dirt) but after Empress had become the owner the name was replaced with a more euphonic one - 'Tzaritzyno', in Russian it means ' belongs to tzarinas'. The Tzaritzyno estate has a big and magnificent palace. 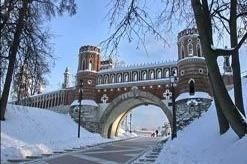 It's the highlight of the architectural complex and looks like a castle from a fairy tale: towers with spires, white pillars, tastefully decorated walls. The concept of the whole park is exclusive. One can spend some wonderful time just strolling around the park, which is surrounded by ponds, lakes and twisting paths over tiny hills, along pavillions and pergolas showing simple refined elegance. There also are fountains, which are accompanied with music and light at night, All this gives an unforgettable experience. Tzaritzyno is famous for its gardens: grapes, oranges, olives, peaches and other kind of different plants grown there. 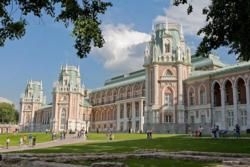 The author of the estate project was one of the well known Russian architects V. Bazhenov. Bazhenov was said to be a mason and his architectural constructions were considered to have enciphered mason signs. 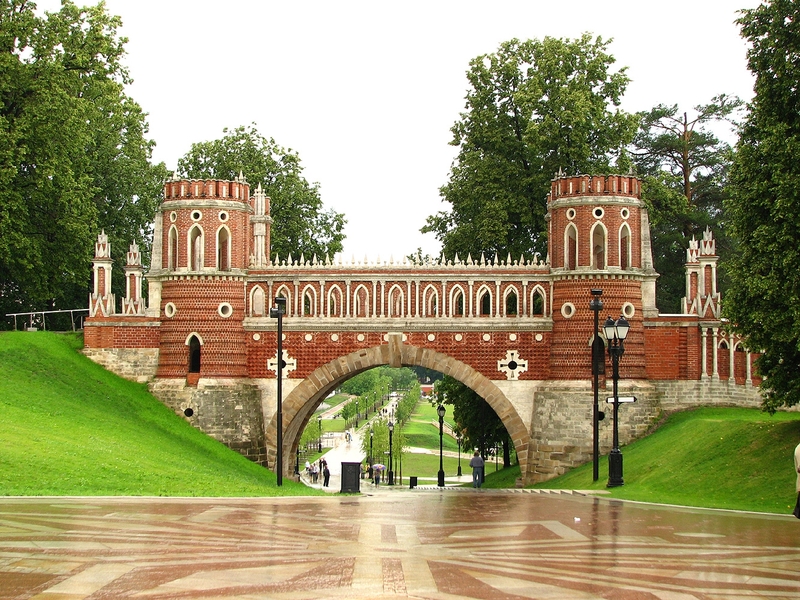 But the most mysterious thing about Tzaritzyno is the fact that Catherine the Great didn't like her new residence! Rumour said she was outraged when she saw mason symbols in the ornaments. There is also one more reasonable explanation why she wasn't impressed with it: buildings were too low and cramped and insulted Empress's 'status quo'. Anyway, the palace was finally rebuilt and royal families never lived there. Now it's one of the most popular places worth visiting not only because of its historical and architectural uniqueness but also since it's a nice venue for concerts, jazz festivals, various events, excellent for boat rides and walking.